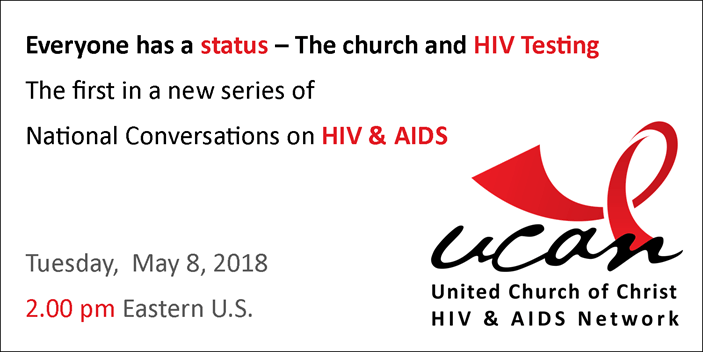 On May 8, UCAN (the United Church of Christ HIV & AIDS Network) launches the first in a series of online national conversations on HIV with a focus on HIV testing. A popular HIV testing slogan is, “Everyone has a status, do you know yours?” In preparation for National Testing Day, Wednesday, June 27, Rev. Mike Schuenemeyer will moderate this conversation via Zoom about the importance of everyone knowing their HIV status and the status of the church in promoting and facilitating HIV testing. The special guest is Rev. John Ryan Mendoza. Rev. Mendoza is a member of the World Council of Churches – Ecumenical HIV AIDS Initiatives and Advocacy (EHAIA) and spearheaded the Clergy Testing Campaign with the National Council of Churches in the Philippines. 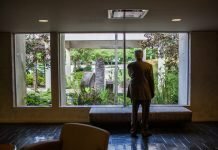 The Clergy Testing Campaign has now gone global, is a great way to promote HIV testing and was part of the HIV testing at UCC’s General Synod meeting last year in Baltimore. Online Registration Required: Register Now! Please share this event on Facebook and click going or interested.